We have blended honey with wild huckleberries to perfection. 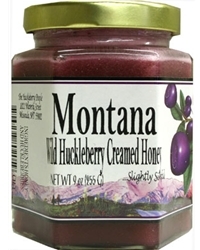 Our wild huckleberry honey will satisfy any wild huckleberry lover. We also offer something for every taste with flavors such as Blueberry, Cherry, Blackberry, Cranberry, and even Prickly Pear. Available in Wild Huckleberry, Blueberry, Blackberry and Marionberry flavors. 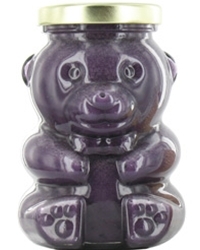 A very cute Bear Jar. Only Available in Wild Huckleberry.